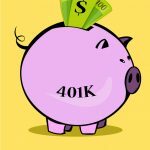 401k Income Limits | Can I Make Too Much to Contribute? If you’ve ever wondered if you could be making too much money to contribute to your employer’s sponsored retirement plan, chances are that you don’t need to worry. Unlike a Traditional or Roth IRA, there are no upper 401k income limits that will keep you from contributing. 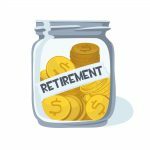 This makes it a very attractive option when you are considering the benefits between the IRA vs 401k. The only restriction is if you are a highly compensated employee (more on this below). 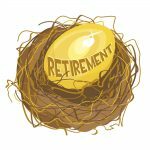 In contrast, an IRA is limited by an individual’s modified adjusted gross income (MAGI). If you make too much money, you either won’t be allowed to contribute to a Roth IRA or you won’t be able to take the deduction from a Traditional IRA. However, this is not the case with your 401k plan. For a 401k, your employer simply just has to offer it as a fringe benefit, similar to health, dental, vision or life insurance coverage. If they do and you meet certain age eligibility requirements, then you’ll likely be able to participate – regardless of how much you make. This can be used to your advantage if you make too much money to contribute to a Roth IRA. While you still have the option to contribute to a Traditional IRA and let your money grow tax free, you won’t be able to take the up-front tax deduction. 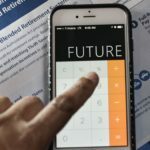 But with your 401k, you will get both the up-front tax deduction (from not including it as part of your taxable income on your income taxes) and your money will grow tax-free. 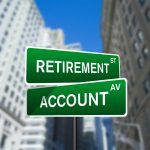 Therefore, if you find yourself in a situation with money to save but you can’t invest in a Roth IRA, you may want to consider maxing out your 401k plan as the alternative. For the preceding year, received compensation from the business of more than $115,000 (if the preceding year is 2012), and, if the employer so chooses, was in the top 20% of employees when ranked by compensation. This is intended to limit discrimination against the lower income earners (non-highly compensated employees or NHCE). The average deferral percentage of the all HCE’s as a group can be no more than 2 percentage points greater (or 125% of, whichever is more) than the NHCEs as a group. 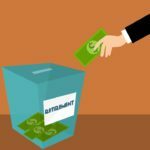 Just like an IRA, part of being able to contribute to a 401k is having taxable compensation (i.e. you made money by working for an employer and paid taxes on it). 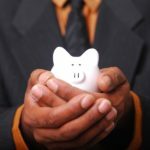 If you’re a lower income earner, the IRS says you cannot contribute more to your 401k plan than you earned in a single year. For example, if you only made $10,000 in taxable compensation, then you cannot contribute more than $10,000 to your 401k plan. 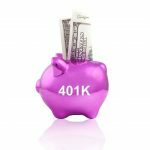 Even with the potential for your contributions to be limited if you are a highly compensated employee, the fact that there are virtually no 401k income limits makes this a favorable choice when you have to prioritize among your options. 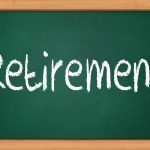 However, keep in mind that the best solution is to benefit by using both an IRA and 401k whenever possible. Therefore you should take a moment to make sure you understand the IRA income limits and see you are eligible to contribute or not. That last sentence pretty much sums it up. If your 401k has high fees, I’d contribute enough to take any match and then use max out an IRA before I contributed more to the 401k. Knowing fees and income limits is a must to get the most of of your investments. Really like the site. Well done. 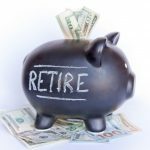 As a representative in financial services, I always recommend contributing to the 401(k) to maximize the match amount the employer provides, then max out the IRA or Roth IRA, then go back to contributing to the maximum amount of the 401(k) of $17,500 for 2014 and $18,000 for 2015..
I’ve always thought that the “highly compensated employee” rule was ridiculous. There should be no rule ever that stops people from saving money. The best way to look at this is to always contribute the max to the 401(k). This will allow for the maximum under law last year it was $16,500 plus it will maximize any employer match. Once you reach the limits then think about IRAs. 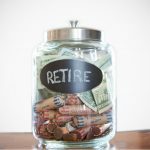 Does the income limit count my income before or after my 401k contribution? If I make 120k but contribute 17k to my 401k am I fine or am I still considered highly compensated? 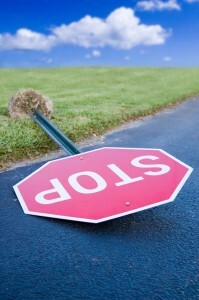 Income limits are counted against your MAGI – modified adjusted gross income. That would be before contributions and the number you calculate when you do your income taxes. The highly compensated rule applies to a ratio of high to low income earners within a company. My thought is that unless you are making way more money than every single person you work with, you are not considered highly compensated and should be okay. You should definitely speak to your HR rep to make sure.